Derek Spady entered Automotive Dealership Institute’s finance and insurance program in 2011, seeking a way to move ahead in the auto industry. “I’m learning so much about the business, it’s a life changer,” said Spady. The program, which took just four weeks to complete, taught Spady the basics of dealing with customers and helping them close the deal on their new car. He says that his greatest reward is smiling and shaking their hands to congratulate them on their new car, but the path to get there took concentration and focus. New demands for compliance and bank standards have changed how F&I managers operate. These new adjustments bring a host of changes to the dealership that make the old methods of training now seem outdated. Training F&I managers effectively is a question of honesty, integrity and professionalism. When a consumer attempts to purchase a car, the F&I manager is the one responsible for helping the customer reach the final numbers that will close the deal. When a customer says “no” to an offer, it’s important for F&I to weigh what the customer really wants to hear. The customer isn’t saying the deal is bad, they are typically trying to convey that they aren’t ready to say “yes” because they don’t have the information they need. A responsible F&I manager is trained to show the customer the value they stand to gain buying from that dealership. A responsible F&I manager also helps the customer complete the deal. The worst nightmare one can face is a spot delivery for a vehicle on a night or weekend, where the bank requires additional paperwork or a down payment. This is a huge speed bump in the sales process, and one that is easily avoided if the F&I manager is well-acquainted with the needs of the bank. There are also issues related to the Patriot Act. Dealerships can land themselves in legal hot water if they fail to comply with federal law, and the customer won’t stand for a background check that requires too much time or effort. Balancing all of these needs is a delicate process. Managers are trained in talking with people, understanding the intricacies of finance, and how to assemble a deal that will close. 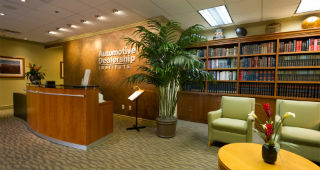 Automotive Dealership Institute, for instance, immerses students in curriculum for nine hours per day in addition to three hours of homework each night. The program also covers the underwriting process, with special attention paid to legal guidelines. The end result is training that helps managers respond to the needs of customers today, not the methods that worked ten years ago.